This is the beginning of it all. 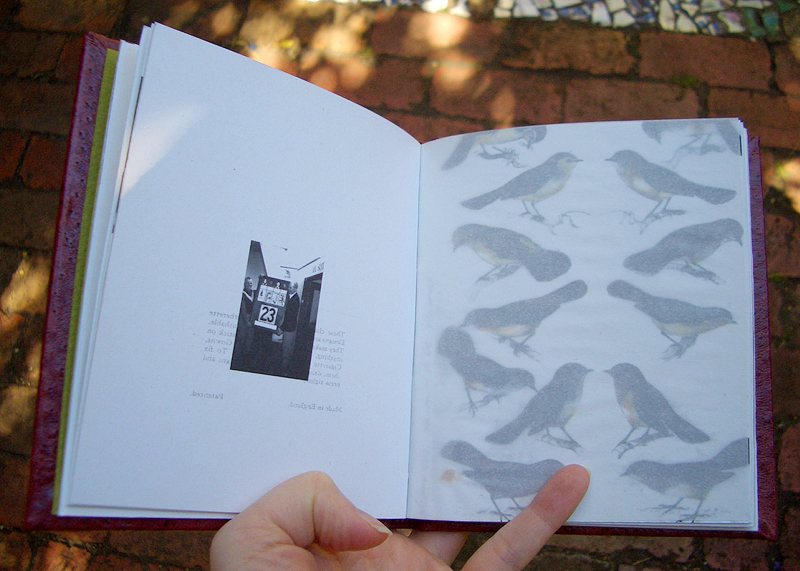 The small and varied ‘leatherettes’ which feature on the cover of all ten in this edition were found in a secondhand bookstore in New Zealand and were, in strange way, the original inspiration behind this series of artists' books. The leatherettes had been designed to be adhered to lamp shades and cigarette boxes and gowns; or, in our case, small books. The leatherettes ranged from golden elephants through to inky-hued rabbits and blue hens. 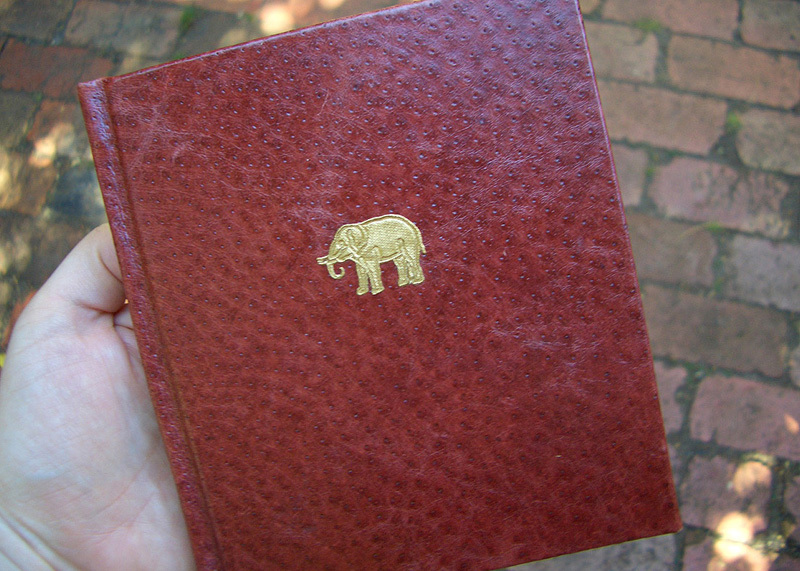 The artists' books in this edition are covered in black, ochre and cherry-red emu leather, selected for the delicious peck marks and imperfections visible across the surface. 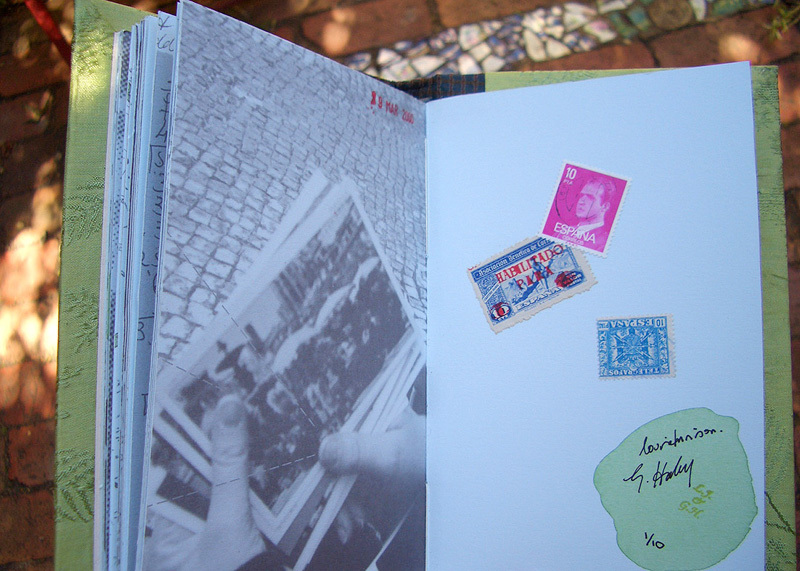 This book was exhibited as part of Global Fusion (2002), Kunstraum Palais Porcia, Vienna, and the Second Freedman Foundation Exhibition (2003), Sir Hermann Black Gallery, NSW. 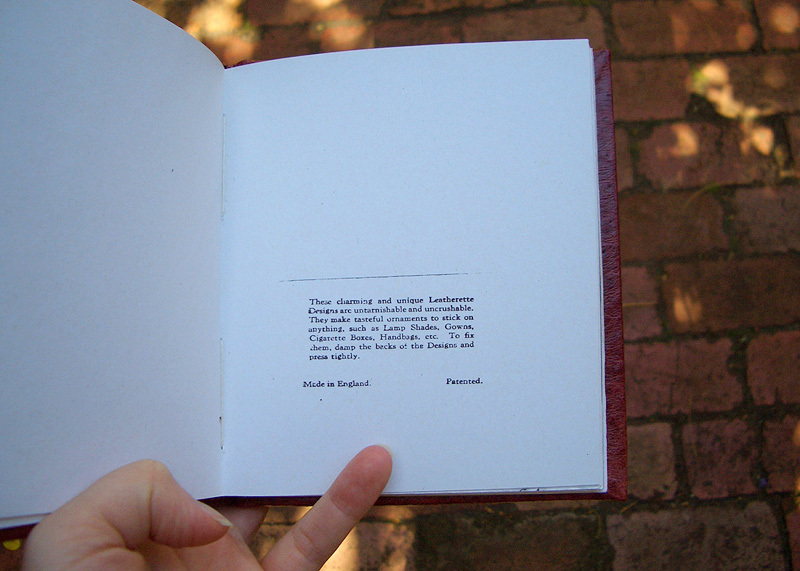 Editions of this book are in the collections of the State Library of Victoria, and RMIT Library. With thanks to the generosity and kindness of Dr. Carlos Pereira de Lemos, the artists’ book, Nao falo Portuguese, was launched at the Portuguese Consulate, Toorak Road, Hawthorn East (from his lounge room). Each cover from this edition of ten varied, sometimes slightly, sometimes a great deal. 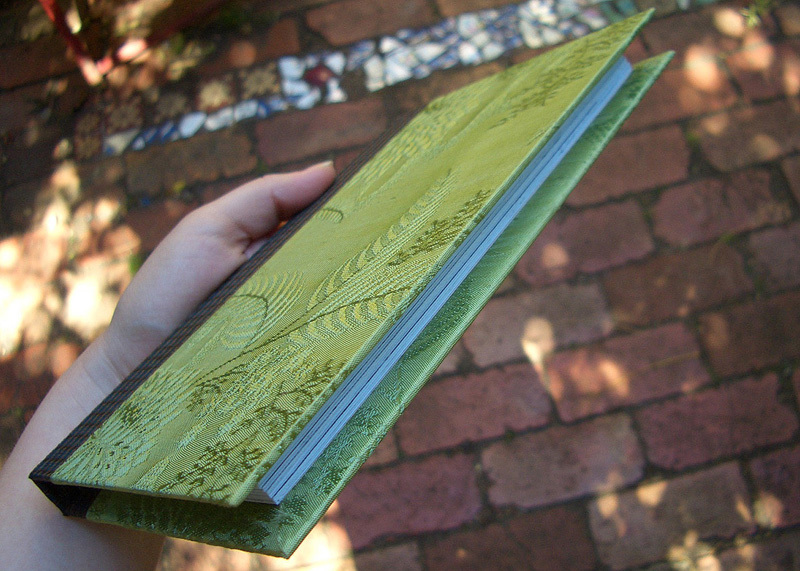 Some came in patterned green silk with an indigo section running along the spine whilst others were bound using a heavy-weight linen littered with large ochre-hued blooms. The title for this book loosely translates as ‘I don't speak Portuguese’, and sadly, to this day, neither of us do. It was later exhibited as part of Global Fusion (2002) Kunstraum Palais Porcia, Vienna, and the Second Freedman Foundation Exhibition (2003), Sir Hermann Black Gallery, NSW. Editions of this book are in the collections of the State Library of Victoria, Monash University Library, and RMIT Library.